Boris Karloff, Bela Lugosi, Lon Chaney Jr.
A collection of all 30 Universal Classic Monster films from 1931 – 1956. See individual reviews for specs on the collection. Of course, 1931’s Dracula wasn’t the first horror movie, or even the first “monster” film from Universal Studios. However, it did become the unofficial first flick in what would become regarded as their “classic” run, a stretch that lasted 25 years. With 2018’s Universal Classic Monsters Complete 30-Film Collection, we find all those adventures in one massive package. 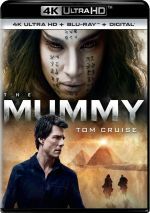 As stated, it offers 30 movies that cover tales with Dracula, Frankenstein, the Mummy, the Invisible Man, the Wolf Man and the Phantom of the Opera. All those links above go to the individual reviews, and outside of a booklet, the 30-Film Collection provides no exclusive content. It does come with an MSRP of $150, a neat $5 per movie. And Universal tended to treat the films well. With 30 movies under discussion, I left off the usual summarized picture/audio/bonus grades for the package, though one shouldn’t expect supplements for most of the movies. 17 of the 30 include only a trailer or less. The other 13 come with some good materials, though, and the vast majority boast strong picture and audio. A couple seem mediocre in terms of presentation but they’re outliers, as almost all give us very nice reproductions of the movies. As for the films themselves, they vary in quality from excellent to awful. Most remain entertaining, though, and it’s fun to see the characters and themes evolve. 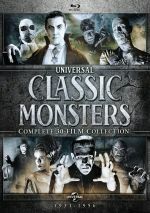 As a compilation, the Universal Classic Monsters Complete 30-Film Collection brings a lot to the table. With a slew of fun movies, it offers many hours of entertainment. Picture and sound are usually positive, and some of the flicks come with useful supplements. At $5 per flick – or less if discounted – this becomes a great deal.